Today marks a big milestone for both Positium and the global statistics community. 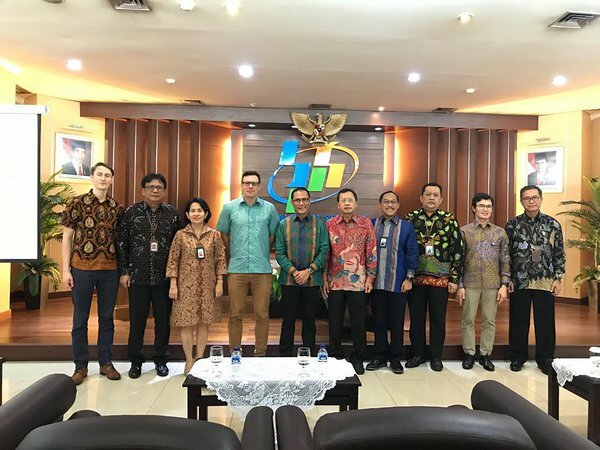 On January 30, 2019 we have signed a Memorandum of Understanding with BPS - Statistics Indonesia, launching a cooperation to use mobile positioning data (MPD) in the official statistics production in Indonesia. Positium has been studying mobile positioning data for nearly 15 years. When we began our work, we knew that Big Data would offer great benefits in future research and policymaking. With this memorandum, Indonesia has become a front-runner in and a beacon to the global statistical community. The role of modern statistical institutes is not just to report the numbers, but also to investigate the reasons behind the changes in society. Big data in general, and especially MPD, is one of the best sources today to learn about the spatio-temporal behaviour of people. In a statement issued by BPS - Statistics Indonesia, our Indonesian partner expresses their visions for the cooperation: "At present, BPS is conducting trials on the use of Mobile Positioning Data (MPD) for domestic tourism, travel patterns, populations, and others. However, there are a number of challenges in using Mobile Positioning Data (MPD) as a data source, especially in developing methodologies. BPS believes that Positium LBS, as the only company in the world that specializes in MPD for official statistics with almost 15 years of experience, will be able to help BPS overcome these challenges."